A forecast isn't a prediction ! 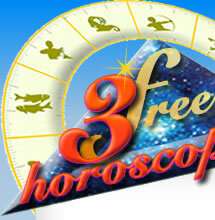 Unlike divinatory arts like psychic reading or tarot, astrology isn't a method of prediction. Actually, predictions are impossible in astrology and astrologers don't need any supernatural skills to be able to do their job. The interpretation of personal astrological cycles isn't made randomly, it's the result of precise and serious astronomical calculations. As the meteorologist uses data about pressure and temperature to predict the weather, the astrologer uses the astronomical cycles to know more about people. And when it comes to forecast, astrologers can be wrong, just as often as meteorologists. We have to remember that astrological forecast isn't an exact science. Not because astrologers can't find a perfect method to forecast, but more because the interpretation is based on symbols. Symbols are archetypes that can have different shapes and as a consequence it's hardly possible for astrologers to predict how events may happen in the future. However thanks to the precision of astronomical calculations, astrology can forecast with precision dates and symbols of the future with a margin of one day. Modern astrology considers that everything happens for a reason and that it is more important to know why we go through situations and experiences than it is to predict the future. We can do our jobs thanks to our knowledge and understanding of our personal participation to life events thanks to planetary changes. But trying to predict the future without trying to find the reasons why and why you are involved in it... it's no longer just about possibilities... it's like playing with our own freedom. Astrology isn't an art that makes people addicted. Quite the opposite, it's a discipline that will bring out our abilities to use our consciousness and to deal with what life brings everyday, everytime. Historically there are many techniques for astrological forecasts and some of them aren't really interesting when it comes to personal forecast. The most reliable techniques are the Transits and Revolutions (or returns). Planetary transits are based upon planetary motions with a study of aspects that shape up natal planets (planets and houses of the birth chart). Returns (or Revolutions) are based upon the chart when the Sun or the Moon comes back to the same position it used to have in the birth chart. There is a Solar Revolution, that is to say a yearly chart called birthday chart, and a Lunar Revolution, i.e a monthly chart. Transits and Solar Revolutions are two complementary techniques. The first one helps us figure out planetary events with very few cycles (from 250 to 2 years). The second method is the study of the chart of the solar return and will give us a better understanding of life events with more precision. If transits give very precise results about dates, solar return won't be able to give a precise date because events are all included in the period of time from a birthday to the next one.